We understand that you’re busy. We know there never seems to be a good time to have work done on your vehicle. At Rose Auto Repair, we go out of our way to make sure your experience exceeds your expectations. From check-in to check-out, our auto care advisors and technicians work to get your vehicle ready to go as quickly as possible. 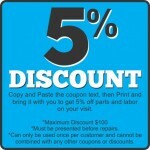 Print and bring in the coupon to get 5% OFF parts and labor on your visit. A flashing check engine light is typically indicative of a serious problem affecting your vehicle's ignition, fuel or emission systems. If your check engine light is on or flashing, it's time to come into Rose Auto Repair store for a car diagnostic. Our auto service professionals will investigate the check engine code error and troubleshoot the problem. 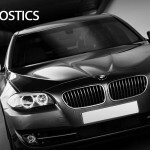 If you delay a car diagnostic or necessary engine repair, the problems and costs can quickly escalate. Preventative car maintenance and routine inspections can go a long way when it comes to keeping your car in peak condition. Following the manufacturer's car maintenance schedule will save you time and money. When you adhere to vehicle maintenance guidelines, you are taking action against unwelcome damage and future costly repairs.We provide the best service in vehicle maintenance for cars, trucks, mini vans and large SUVs, only at Rose Auto Repair. When you come to Rose Auto Repair store for any service, we offer a free courtesy checkup for your vehicle. We examine your tires, fluid levels, belts, lights, wipers, battery hoses and more. Our goal is to help you keep your car in tip-top shape. When you take care of your vehicle, it runs better and lasts longer – Rose Auto auto technicians help you watch out for anything that needs to be fixed. We're committed to the health of your car, and that health begins with expert vehicle inspections.